Mental ill health in the UK is high with one in four individuals currently experiencing at least one episode throughout their lives. 8% of the population is currently in a state of depression and antidepressant prescriptions had risen to 57 million in 2016. 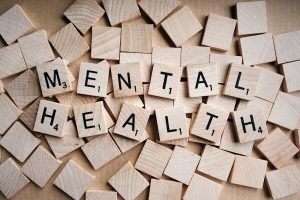 People suffering from mental ill-health often have the stigma from society to deal with as well as the daily negative physical and psychological effects of what can be a debilitating condition. This can have a profound and ongoing negative impact on the individual, co-workers, family and friends. The cost to the workforce must also be considered with mental health being the highest cause of sickness in the UK. On average 70 million working days per annum are lost at a cost of £1,035 per employed. Feeling embarrassed, scared and unable to discuss this with bosses or even friends and family counts for 67% of employees, 33% of which feel unvalued by their employer and consider leaving. Reduced productivity and lack of motivation (presenteeism and ‘surfing workers’) count for 21%. The groups will then reconvene to discuss ways to improve not only mental health awareness in the workplace but what measures can be put in place that offer real positive, impactful change for everyone. Any delegate who finds the workshop difficult for any reason will be sensitively supported. Following the workshop delegates will have had the opportunity to discuss, discover, learn and action better mental health support for themselves and others in the workplace. One to one support is also available from Kate. Please ask for further details.